Sometimes in life, the passion finds you, and your world is never the same. This is exactly what happened to Brooke Zanni. There are truly no words to describe Brooke’s compassion, care and incredible healing gift to help others. 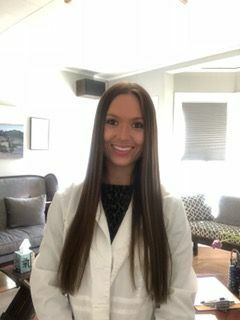 Brooke has an amazing ability to connect with patients and participate in their healing process and assist in their path to achieving optimal wellness. Brooke Zanni makes the nonbelievers truly understand that Acupuncture works! She is exceptional at what she does and has had success in helping her patients. She puts her entire heart and soul into her treatments and takes pride in getting to know each individual person fully. She is different than other Acupuncturists out there. Brooke has grown up around Acupuncture since she was 7 years old. She was taught how to needle when she was merely 9 years of age. Being around such an incredible alternative medicine and learning so much about it at such a young age has given her a true advantage in being the best at what she does. Afraid of needles? Brooke puts your mind at ease. She carefully and slowly explains how the needles are painless. The needles she uses in her practice are thinner than a strand of hair. She describes the experience upon insertion of the needle as being more of an “ooo” feeling, not an “ouch” sensation. When you feel that “ooo” feeling, it is the needle breaking up the stagnation causing disruption, pain and/or imbalance in the body and the Qi and Blood moving through that stagnation allowing proper flow through each channel and meridian in the body. In addition to Acupuncture, Brooke also incorporates many other modalities into her treatments. Cupping, Slide Cupping,Electric Stimulation and Tuning Forks & soft tissue techniques are additional therapies she likes to add to her treatments. Cupping is an ancient form of alternative medicine where the therapist puts special cups that suction onto your skin. This is used for pain, inflammation, relaxation, well-being or promoting blood flow. The kind of cups Brooke uses she has control over, therefore they do not create a lot of dark marks. In cases where a patient has a lot of pain, there will be circular marks. These are the toxins that are rising to the surface causing the stagnation to dissipate enabling proper blood flow to alleviate pain. The ability to slide the cups after applying essencial oils are another relaxing and therapeutic application of cupping. Electric Stimulation is used for pain. This stimulation is different than others as it attaches to the needle which allows it to be more internalized. It is the elicitation of contraction through the channels and meridians that stimulate the muscles using electricity to reduce pain. Tuning forks are a great tool that carry a vibration that travels deeply in the body, making this a beneficial tool to relieve a variety of symptoms. The vibration is calming, grounding & energizing. It can enhance breathing, relieve body tension, access Qi and the body’s energetic pathways, assist in meditation, and it helps to facilitate and restore the correct flow of blood and Qi in the body. Additionally, Brooke culminates each session with scalp, back, neck, leg and foot massages by targeting the proper acupressure points for what each patient is coming in for, to calm and promote circulation in the areas that need the most attention. Her forms of massage are different than most. She uses a therapy called Tui Na that refers to a large range of Traditional Chinese Medicine therapeutic massage and body work. It is an additional treatment to address specific patterns of disharmony in the body. With this treatment, she applies specific creams and oils as a topical to relieve pain and stiffness. While Brooke Zanni, L.Ac. is in the same building as Picard Chiropractic both maintain separate affiliations.